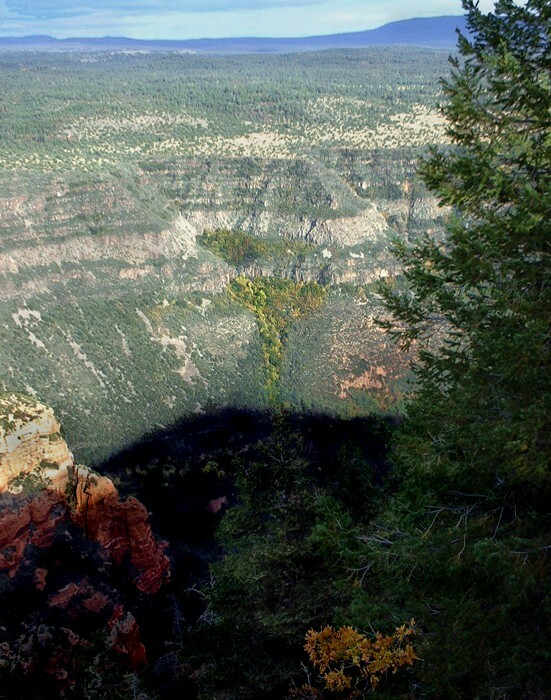 The upper sections of Wilson Mtn, past this segment, were torched in the Brins Fire 2006. Page data reflects #123 one-way segment. The description below is more in depth going further. 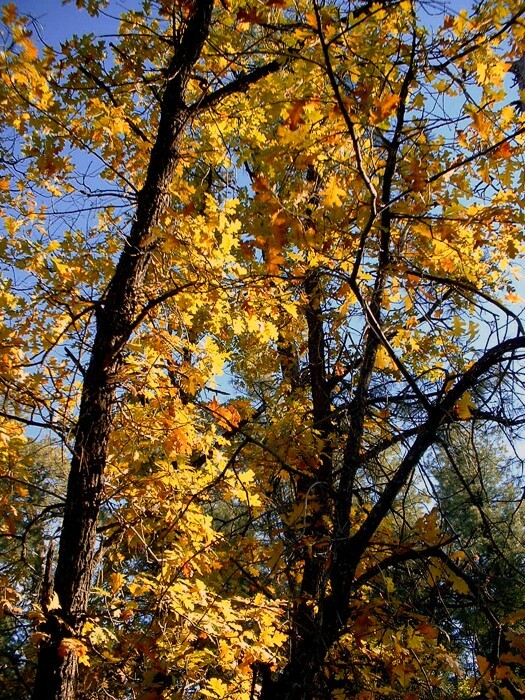 Check out this route for a hearty hike. 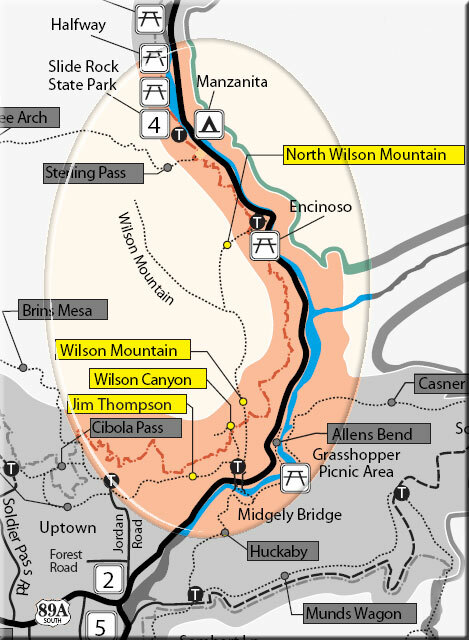 To date, Wilson Mountain and North Wilson Mountain trail have been treated as the same hike on this website with trip logs for each appearing on the "Wilson Mountain" hike. This is a shame for the two hikes are very different and each deserves their own description and photosets. 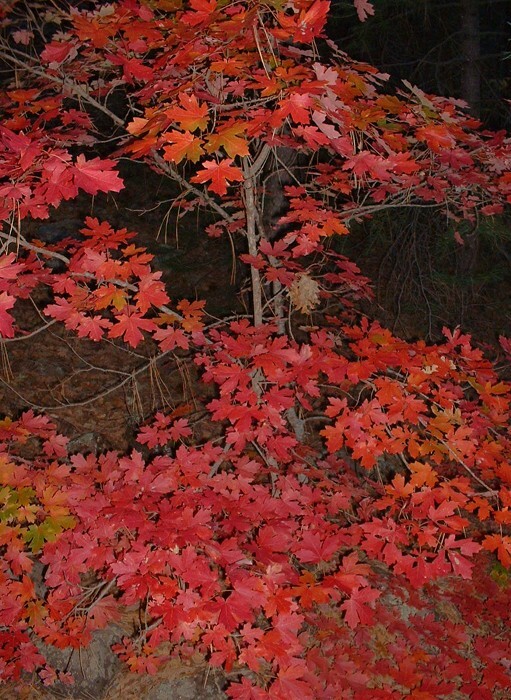 Moreover, the autumn colors section of this website could use a few more entries, and this one would most certainly qualify. 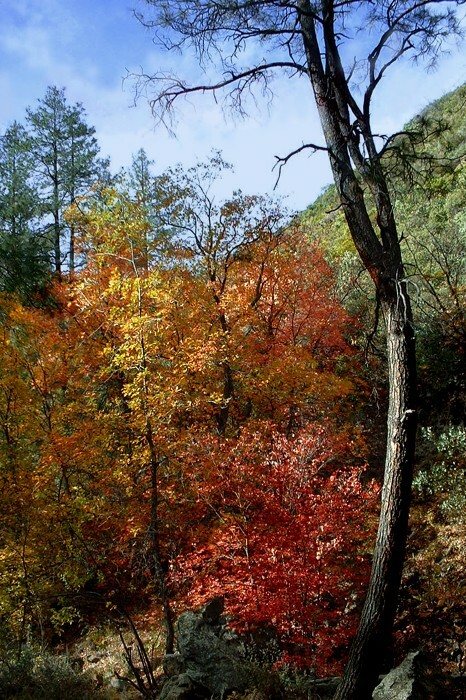 The choice of which Wilson Mountain trail to enjoy depends on whether you prefer south-facing manzanita-covered slopes overlooking Sedona or north-facing forest offering ample shade for a hot summer day, and later in the year, incredible fall color. 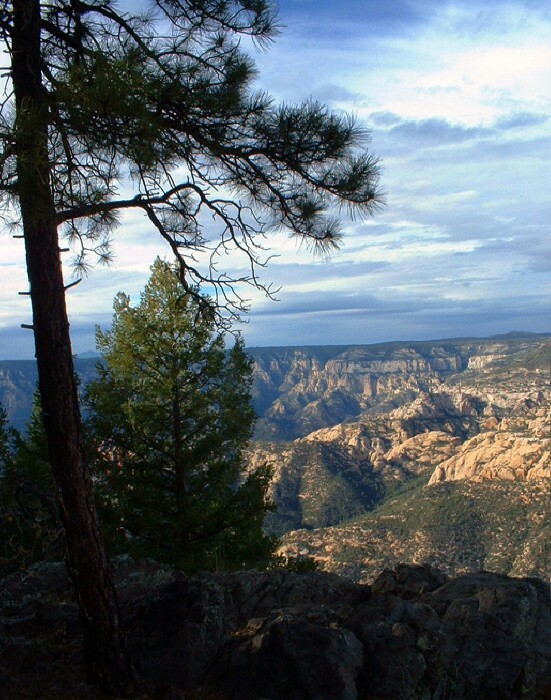 While this hike begins only 3.4 miles north of the southern Wilson Mountain trailhead at the Encinoso Picnic area, it offers a remarkably different approach to the summit plateau given its northerly exposure. 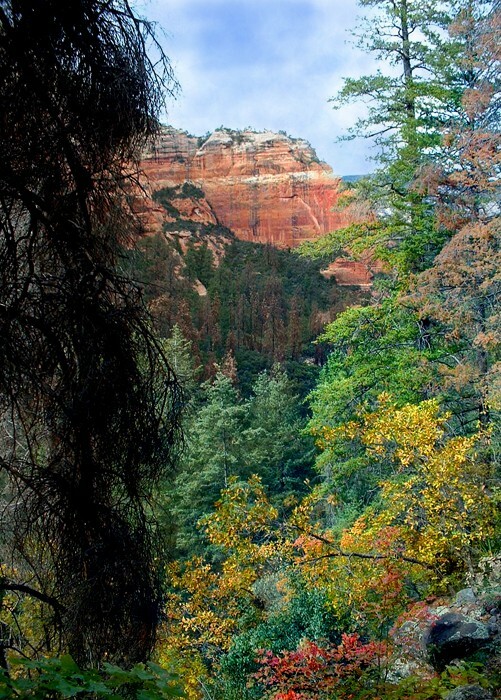 The views of Sedona found on the Wilson Mountain trail are replaced with vistas of Oak Creek Canyon, Dry Creek basin, and there is potential for stunning autumn color afforded by a heavily wooded drainage, which is in stark contrast to the sun-baked (though still beautiful) pinyon-juniper forest of the southern approach. Leaving the picnic grounds, the trail parallels 89A for a moment before turning southwest into a drainage that is followed for approximately 0.75 miles gaining 600 feet of elevation. 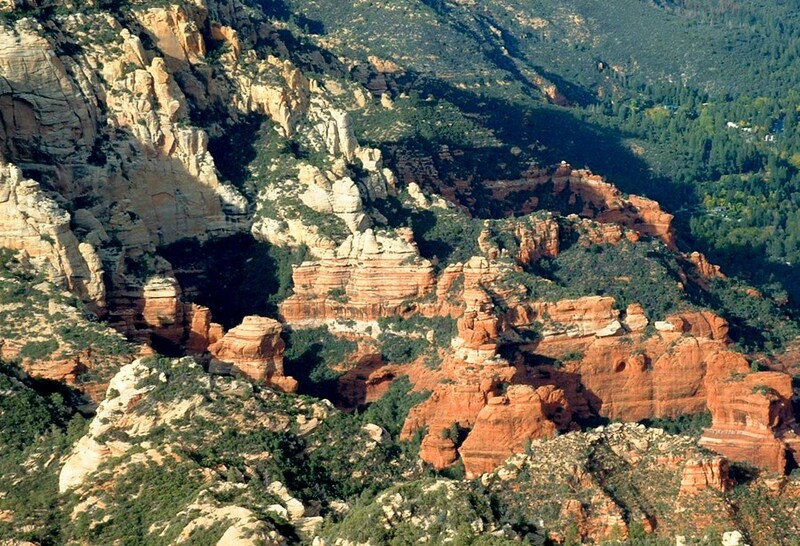 After this, a modestly steep ascent is made up the west side of the ridge that separates the drainage from Oak Creek Canyon. 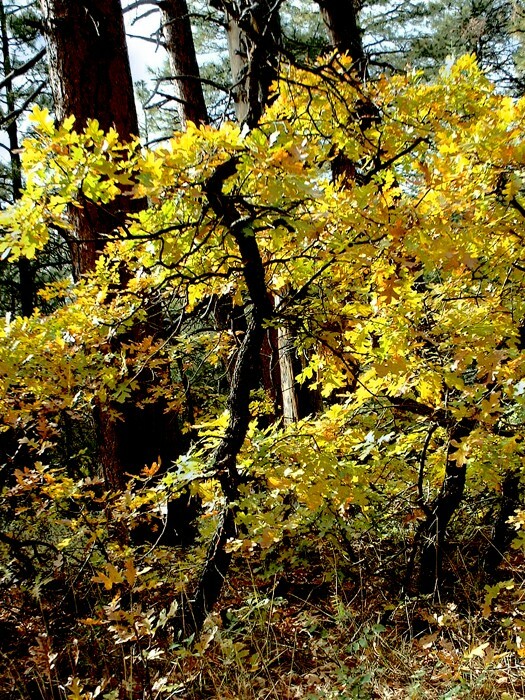 Typical November scenes from the initial part of the trail include colorful deciduous trees and mixed forest below peak 5,838. 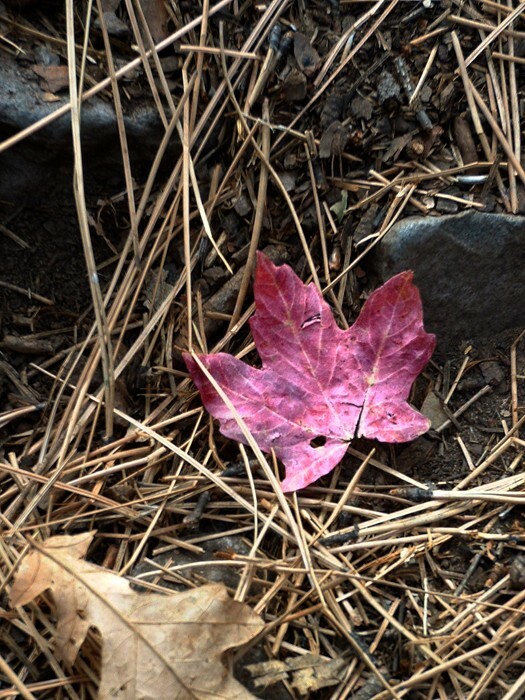 If you are lucky, you will find a perfect leaf on the ground, reminding you that beauty is all around in the forest. You just have to poke around. Continuing up the drainage, the trail maintains a modest grade and passes through breathtaking forest, which eventually leads to a decent view north of a ridge on Wilson Mountain. The trail turns eastward and the grade increases, passing through some narrow sections that would be tough if covered in ice or snow (which I am sure it is in mid-winter). The trail is covered in a fair amount of loose debris in the steeper section; careful footing (especially on the descent) is advisable. 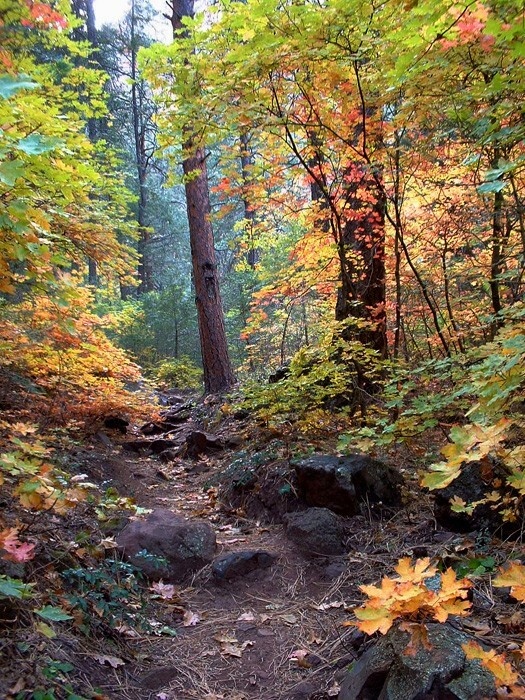 The climb will bring you to the "First Bench" area at 1.4 miles. Continue south through this unimpressive section of trail for 0.4 miles until reaching a trail junction with the Wilson Mountain trail coming from the south. 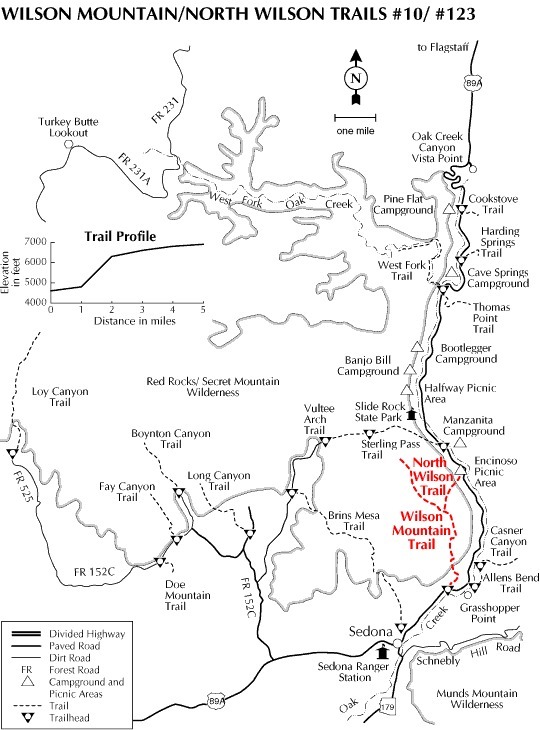 Turn right and follow the Wilson Mountain trail, which gains about 500 feet of elevation in attaining the summit plateau. 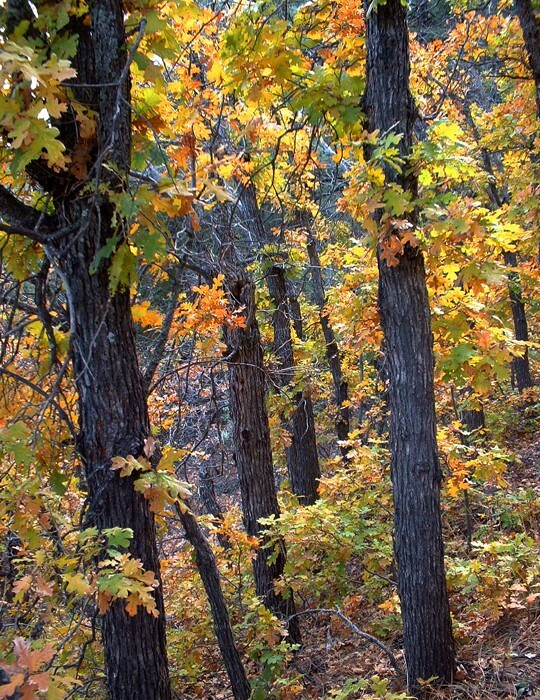 On the way, arresting oak forest lines the path offering a panorama of many different fall colors. 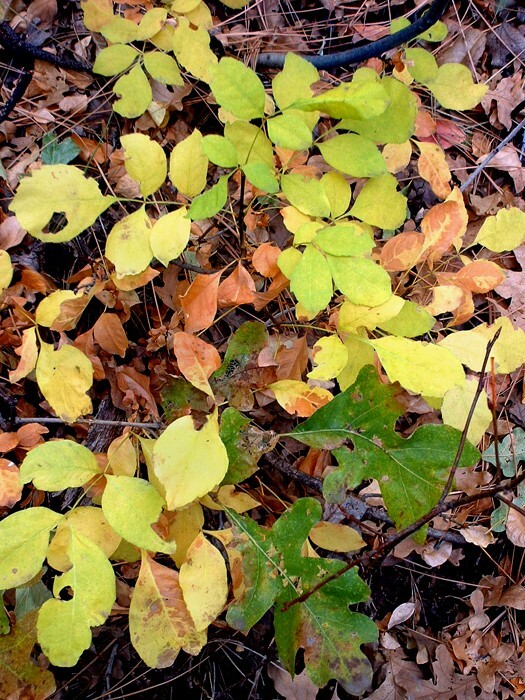 Again, if you look down occasionally, you will find little treasures that make hiking a pleasure. Once on the summit ridge, the path takes you past more autumn color in this typical scene before arriving at the northern edge of the plateau at around 3.8 miles. 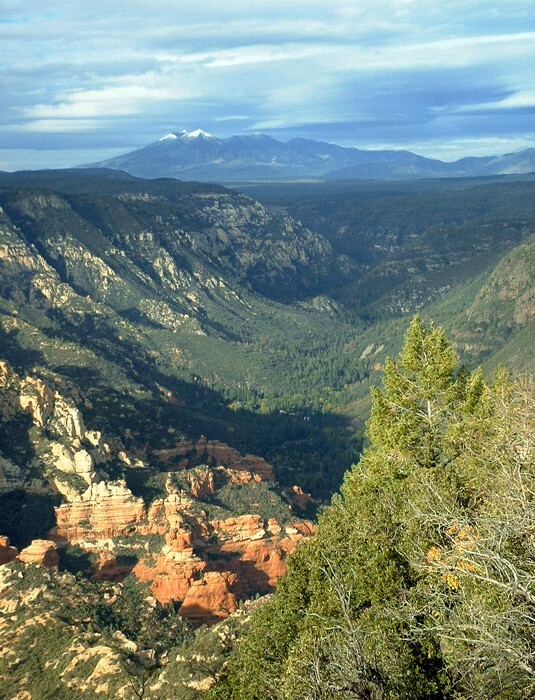 The view north to the San Francisco Peaks and Oak Creek Canyon is well worth the effort. Note that there is barely a trace of color in the creek already well into November. 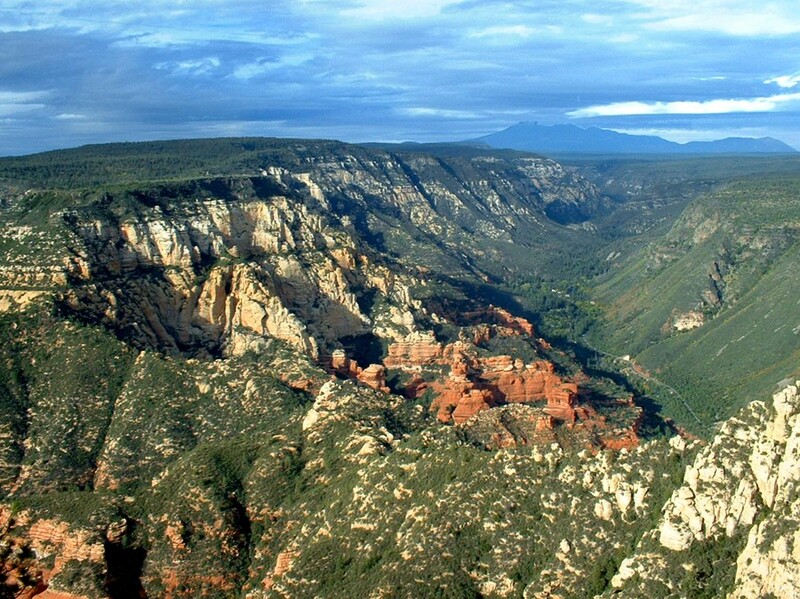 A close up view of the canyon and its dramatic red walls highlights the splendor of Oak Creek and reinforces the lack of fall color. 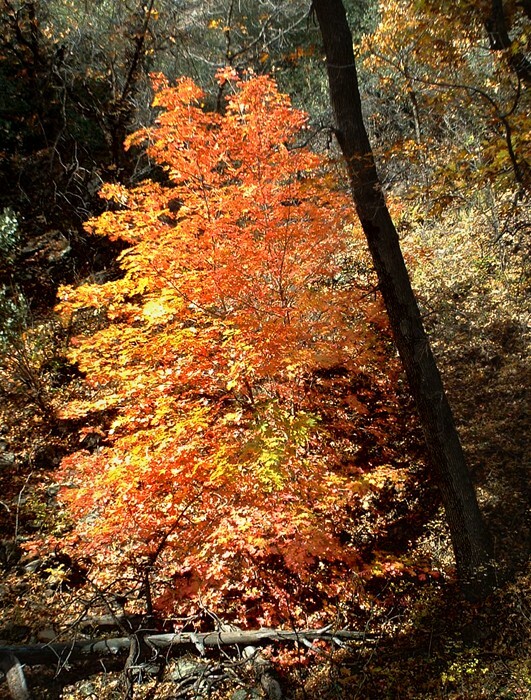 To the east, a curious set of deciduous trees forms a South America outline. Before heading to the western edge of the mesa, the sun graced the San Francisco Peaks making them appear like a mirage on the horizon. At the western end of Wilson Mountain, the views are still quite impressive offering a peek into the labyrinth world of red rock country. You will want to spend a lot of time meandering across Wilson Mountain taking in the majestic scenes surrounding you in stereo. Just make sure you allow time for enjoying the forest on the return trip, which was on impressive display in the golden light of sunset. As usual, I finished this hike in near darkness, having spent a significant amount of time taking photographs. This breathtaking tree granted me a photo before the sun bid farewell for the day. 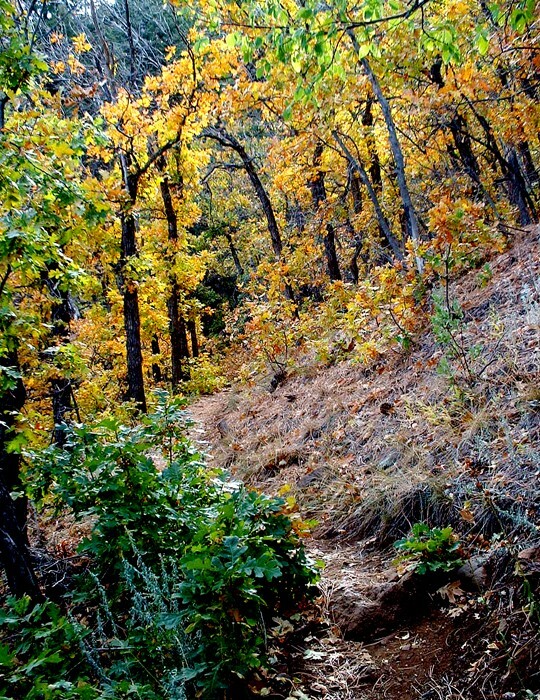 If you are looking for a less crowded alternative to the Wilson Mountain trail (the trailhead of which was packed with cars on this particular Sunday; there were only two cars in the North Wilson Mountain trail parking lot) and appreciate fall color, this is a great option for a decent workout and satisfying views of red rock country. 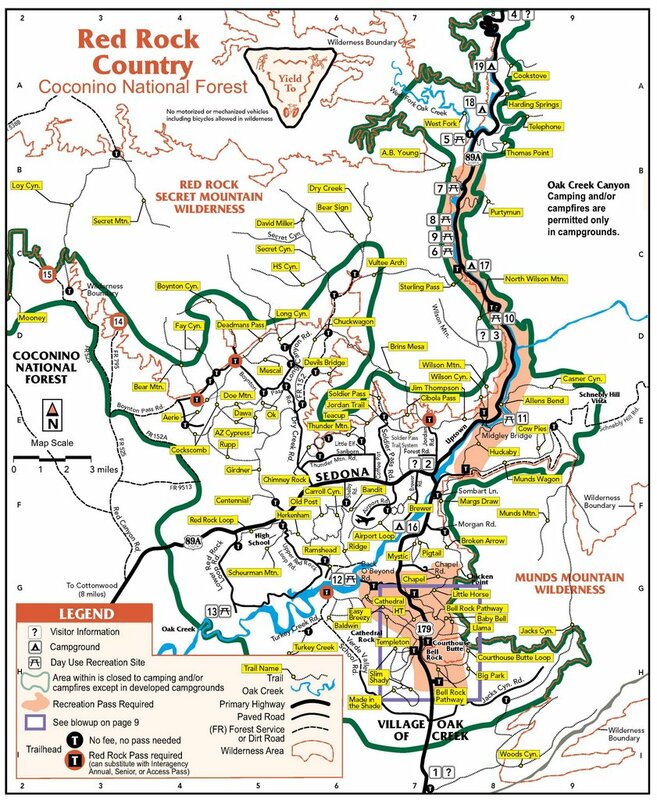 According to the 2018 FS map camping is allowed outside the green line. If you can't read a map, do not camp. 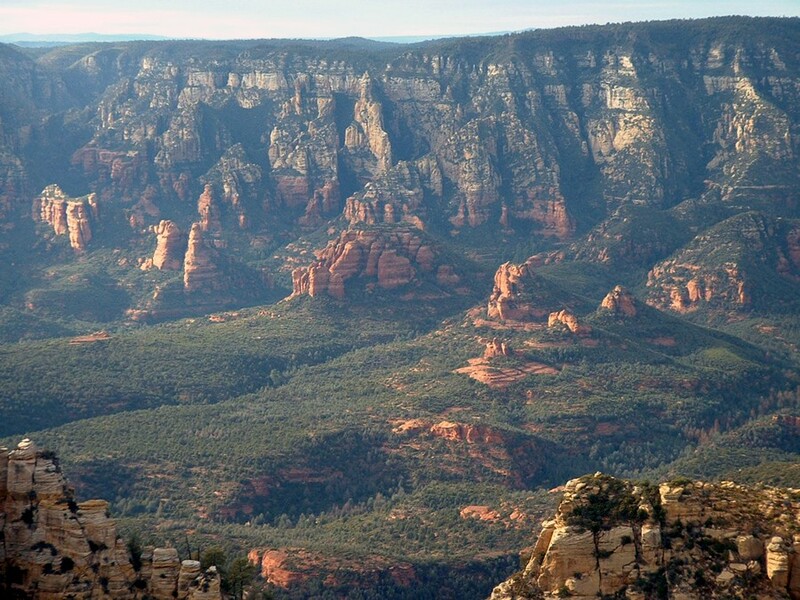 From Sedona, drive 5 miles north on AZ 89A to the Encinoso Picnic area, which is approximately 3.4 miles beyond the Midgely Bridge (Wilson Mountain) trailhead. Between mile markers 379 and 380 on 89A.